ii. Target levels for productivity are set for both short and ong term(e.g. week,month,quarter or year). This is the third phase of the cycle.After that,the productivity improvement projects are taken up,in the final phase.This is followed by productivity measurement to determine the actual value of productivity achieved.This is being the first phase,signals the start of the next cycle. The first phase of productivity cycle is measurement. A company must initiate productivity measurement at some point as without measurement it would not be possible to make improvement. Most measurement systems are oriented towards partial productivity. Among total productivity based measurement systems, Sumantha’s Total Productivity model (TPM) is applicable at all levels. The model defines total productivity measure which includes all the tangible output and tangible input factors. Tangible here means that can be directly measured and qualified. In fact the TPM can be applied in every type of organisation where there are people or where machines, equipment, materials and energy are used. Productivity planning, the third phase of the productivity cycle, is concerned with the establishment of targets for productivity in general and TP in particular. For example in the preceding example, the company had a target of 1.410 for February; this target was set in the planning phase of the productivity cycle. Productivity planning helps an enterprise to complete more intelligently and wisely in the competitive environment. It helps to gather information regarding the current market and help to set targets to be a market leader and sustain that position. 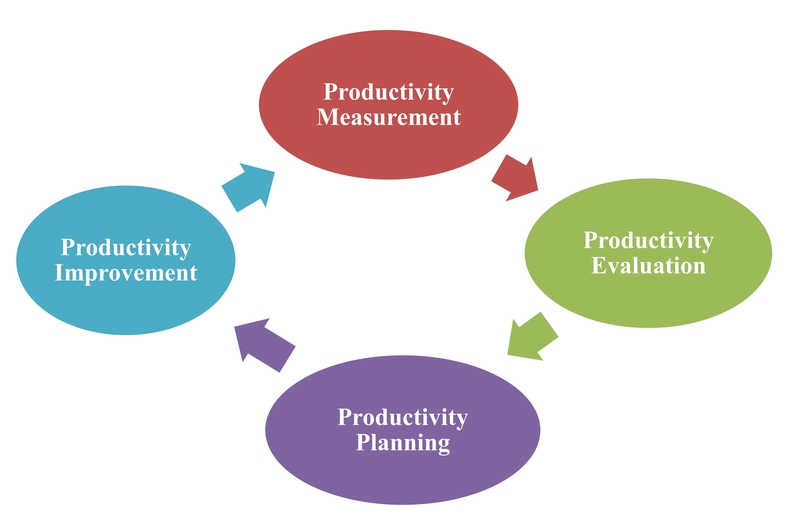 Productivity improvement cannot be taken up by the itself,and must be preceded by productivity measurement,productivity evaluation and productivity planning. All the four stages of the cycle are important,and they must be carried out in a given sequence. 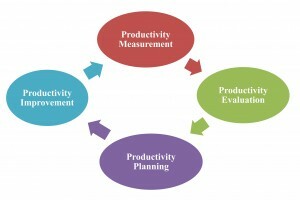 A productivity program should not be treated as a short duration one-off project,and the organisation must be prepared to continue the program till at least the benchmarks are attained,and this can be followed by a productivity audit monitor the productivity levels in an attempt to avert any decline in productivity.